Protects against damage caused by pollution, sunlight and tobacco smoke. Pollutiion has been shown to damage our skin and cause premature ageing – in fact, living in high areas of pollution can cause up to 20% more facial pigmentation! and astonishingly, 9 out of 10 people in the world are breathing air with high levels of pollutants….it’s time to take action and give your skin the defence it deserves. 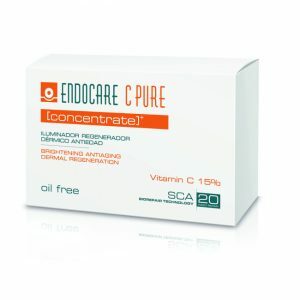 Enter Endocare-C Ferulic EDAFENCE. This super serum provides your skin with that all important daily pollution protection, plus also much more. 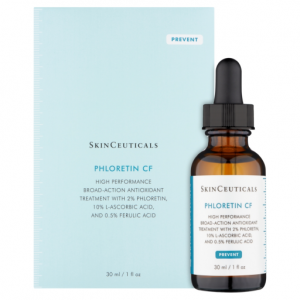 Vitamin C / L-ascorbic acid (10%): a powerful skin anti-oxidant that not only protects from free radical damage, but also is clinically proven to significantly brighten complexion. 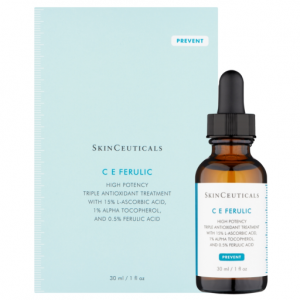 Ferulic Acid (0.5%): an all important anti-oxidant that helps to prevent skin damage, but that also is clinically proven to help Vitamin C to get to work in the skin. 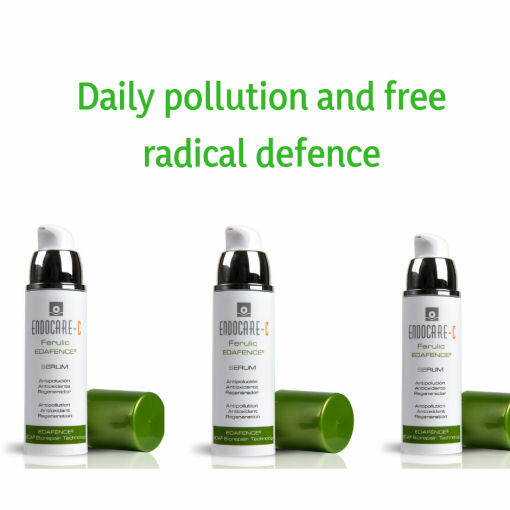 EDAFENCE: a revolutionary anti-pollution technology derived from a hardy Antartic grass, Dechampsia antartica, clinically proven to provide skin with long lasting defence from damage caused by pollution, sunlight, tobacco smoke and other enviromental stressors to keep it healthy and glowing. SCA BioRepair Technology: an advanced growth factor complex derived from the secretion of the scientific snail, Cryptomphalus aspersa, that’s clinically proven to boost the activity of fibroblasts – the cells that generate collagen, elastin and hyaluronic acid. 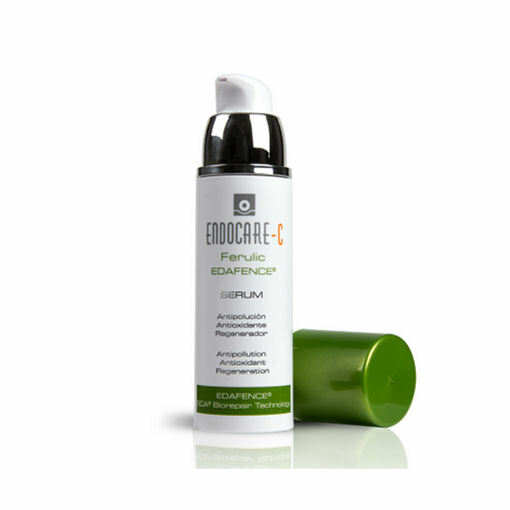 Endocare-C Refulic EDAFENCE is a light, oil-free daily use defence serum that melts quickly into the skin. Aqua,3-o-Ethyl Ascorbic Acid, Snail Secretion Filtrate, Butykene Glycol, Cyclopentasiloxane, Pentylene Glycol, Isostearyl Isosterate, Propanendial, Dibutyl Adipate, Sodium Hyalurnate, Crosspolymer, Polyacrylate Cross Polymer-6, Deschampsia antartica leaf extract, Ferulic Acid, Arginine, Maltodextrin, Zea Mays Starch, Dimethicone, Polyaquaternium-10, Disucciante, Sodium Citrate, Polysillicone-11, Citric Acid, decyl Glucoside, Parfum, Phenoxyethonol.